When you want to paint your home, often you will be in a dilemma in choosing the perfect color, that will make your home stand out in the neighborhood. 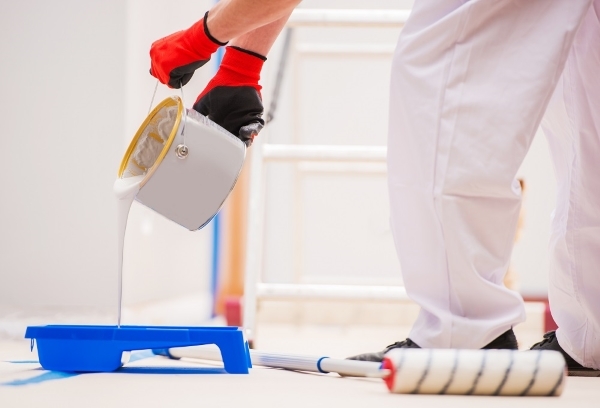 In such a fix it is best to consult with professional painters to guide you and to know the useful tips and strategies. There are a lot of factors to consider apart from the cost of the paint. You must consider the durability, the effectiveness and how it blends with the architectural design and lots more. Most importantly, you will have to consider the look that your house will eventually have. Ideally, there are three types of looks that you will need to consider when you want to paint your room beautifully. Subtle and soothing look: You can talk with the professional painters to ask about the most suitable color for a subtle and soothing look. You can stay with the same shade and follow a monochromatic approach. Choose a blue hue in the bathroom or bedroom. It is an epitome of calmness. Just overlap the shades for a dark color in the walls and a lighter shade for the trim. An elegant look: If you want elegance in your room then choose neutral colors. Neutral colors do not have to be white or beige, as there are a lot of different shades in it. You can have almond colored walls with red toned brown trims. You can even add splashes of color in the room by placing colorful pillows or vase to offset the neutral tones. A vibrant look: You may also be suggested by the professional painters to use vibrant colors such as gold and orange. You can complement these with a polar different purple hue. A black and red contrast will really stand out and give an Oriental look to your room. When it comes to the color factor, often the professional painters will suggest you to three or more different paint shades. This is due to the fact that, they know a home exterior ideally has three major parts. One is the field color that dominates, and the other is the accent color that is used in smaller areas such as doors and shutters. Thirdly, it is the trim color that is used for door casings, windows, railings, roof edging and other trim work. The trim color should ideally contrast with the field color strongly. A darker and lighter shade will create a dramatic effect. However, you can go bold with the accent colors but do not go overboard. If you are stuck for inspiration, then the professional painters or an architect and color consultant will be of great help. They will help you to select a color pallet for your home exterior that is much better than the pre-determined ones that most major paint brands offer. They are the experienced ones to make more calculated guesses, that will suit your needs and make your home exterior unusual yet attractive. Reliable and professional painters will never suggest that you rely on the paint brochures only. Just like interior paints, the exterior colors may also vary significantly from what they appear on the brochure. It is, therefore, important to get the right colors for your exterior. As exterior painting is a bigger investment than painting the interiors of your home. 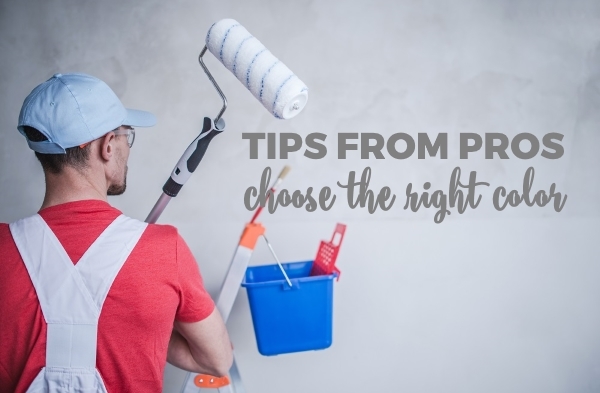 The best thing to do is to buy a quart of paint you choose and test it on not many evident areas of your home and see how it looks at different times of the day. Choosing a professional painter will not only keep you away from color confusions but also from budget worries.